Progressive web apps. Do those words ring any bells? 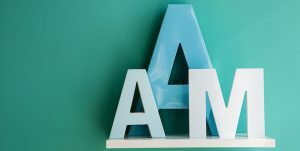 If not, just know that they are the answer to a business owner’s most burning question in 2019: “How do I stand out online? It used to be that marketers would launch a mobile app to promote their products and services. And it worked wonders. Until everyone else started doing the same. In 2016, App Annie, an app analytics and market data platform, released a forecast explaining that app downloads will reach a plateau in the next few years, as smartphones become more prevalent. It’s not that consumers suddenly stopped liking apps. Quite the opposite, actually. According to a recent report, 57 percent of consumers’ time spent using digital media is now taking place in mobile apps. But here’s the catch: people are only using a handful of favorite apps. In fact, app users spend 77 percent of their time on their top three apps. With millions of apps to choose from (2.6 millions on Google Play and 2.2 millions on the App Store) consumers have a hard time sifting through those choices to find something original and interesting. As a result, more than 50 percent of users don’t download any apps in a month. Persuading customers to try their retailer’s app has become a business owner’s digital challenge. This is even more important since online shopping trends indicate that people love spending their money via mobile devices. For instance, nearly 40 percent of sales on Black Friday in 2017 came via a mobile device. What’s more, 62% of smartphone users have made a purchase online using their mobile device in the last six months. So how are businesses supposed to generate higher mobile conversion rates without using a native app, while keeping customers engaged? Enter progressive web apps (PWAs). Quick definition: Progressive web apps are a hybrid between a website and an app. Unlike regular apps (also known as native apps) which can be downloaded from the app store, progressive web apps look like websites and can be accessed directly via a web browser. This makes them cheaper and faster to develop. If you’re a business owner, PWAs can become part of a successful mobile marketing strategy and boost your mobile retail revenue without having to create a native app. Customers are apprehensive to try any new type of app and PWAs are no different. Improved user experience – Because PWAs mimic all the best qualities of a native app, they are quick and responsive, the two key qualities of a harmonious user experience. And according to Medium, PWAs use an App Shell design where the basic ‘shell’ of the app’s user interface is stored and loaded more quickly than the actual content. This effectively improves the load time and the user’s overall perception of the app’s speed and performance. One of the best PWAs features is that users can add each app to the home screen on their mobile phone and open the browser with one touch. Boosts brand engagement – Unlike a native app, a PWA requires users to type in a URL to gain access. That helps boosts customer engagement with your business, which is one of the keys to conversions. 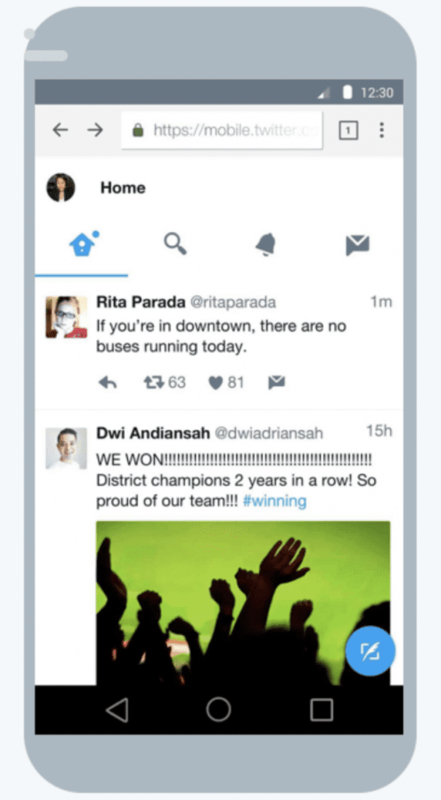 One of the most exciting PWAs examples is Twitter Lite, Twitter’s PWA. After the company introduced an ‘add to home-screen’ prompt on its page, 250,000 unique daily users launched the app from their home screen at an average of four times per day. Offline capability – One of the most useful aspects of PWA retail app development is that users can still access these apps even if they lack network connectivity. This is due to the use of Service Workers, which cache key resources and provide offline access to cached content. In other words, the PWA saves the pages your customers have already viewed, and makes those pages accessible anytime, even if there is no WiFi available. That type of connectivity is not available on a native app. Now that you’re suitably aware of some of the most important benefits that the best PWAs can provide your customers, let’s take a look at two major benefits it can provide web app developers, which will save you money, because those savings will be passed down to you. 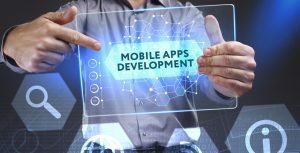 More affordable to build and deploy – Building an outstanding native app is becoming more and more expensive, and developers often have to create different apps for different mobile platforms. But developers don’t need to build PWAs more than once to work on different platforms or devices, or to implement updates. Developers can build PWAs one time and deploy it immediately. And best of all, the structure of PWAs allows developers to make constant changes and deliver them without having to notify users, and without users having to download the PWA again. This means that any new features you want to add to the PWA can be implemented very quickly, and any bugs in the system are much easier to identify and repair so that users don’t experience a lot of downtime. 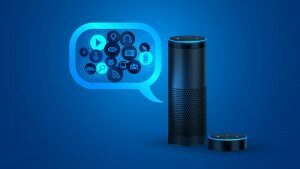 Shorter delivery time to market – One of the obstacles that often frustrates developers is the time it takes to obtain approval to publish an app on the App Store, Google Play or Windows Phone Apps. That’s because of the increasing number of rules and regulations that developers have to adhere to when trying to finalize a mobile app. With PWAs, web developers don’t need to wait for approval to implement updates, and they aren’t required to send notifications, which users often find annoying, lowering user experience. Now that you have a better understanding of how PWAs help both your customers and web developers, let’s take a look at six strategies you can implement to optimize these apps for maximum conversions. Clearly summarize major categories on the homepage – As with any type of content your business creates, your PWA should clearly and concisely list what users can expect when they use the app. This list should include: faster download speed, connectivity even without WiFi, and easy access via a user’s home screen. Don’t clutter things up with additional promotional content that can dent engagement levels and dissuade a user from making a purchase. Incentivize your customers to perform a call-to-action (CTA) – Nothing makes users more upset than when they think that a business is requesting personal information without offering something in return. If you’re going to ask you’re the users of your PWA to login, register or accept push notifications, you better make it worth that user’s time. The easiest and most effective way to do that is to offer what is known as a lead magnet, a compelling ‘sample’ of your core product or service at a discounted rate or for free. When customers feel like they’re getting something of value, they are much more willing to give you their contact information. Use a descriptive call-to-action (CTA) – When a user decides to make a purchase, it is vital that you make that process as smooth and easy as possible. And one of the biggest frustrations users have is endless CTA buttons before they finalize a purchase. Design your PWAs with as few steps as possible in the purchase process, and always explain why users have to click on a CTA button. So for example, a CTA button with the description, ‘Continue to secure payment,’ is much more effective than ‘Continue,’ because it is specific and answers why a user is being asked to do something. Do the work for your customer – When customers are making a purchase, they usually want to know certain things like when the product will arrive, and the specifics of your return policy if the product doesn’t meet their expectations. Answer these questions during the checkout process so that your customer has no doubts about when he or she will receive what was ordered and what you will do if that product isn’t what they wanted. 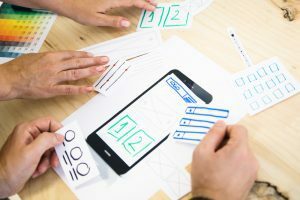 Make your app all-accessible – The best mobile retail apps should be able to overcome any limitations or challenges that a user has, which means that users who are sight-impaired should be able to use your app without any problems. To achieve this goal, you must use labels above all your form fields and instruct your web developers to write code so that screen readers can easily communicate form field information to people who are blind or have impaired vision. 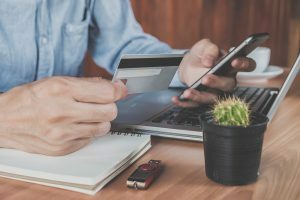 Speed up checkout time – Do you know studies have found that even customers who like your products and have filled a shopping cart on your e-commerce site can abandon the whole thing at the first step of the checkout process? In fact, abandonment levels hover somewhere around 68 percent. That’s a sobering thought, and one that highlights the importance of making that checkout process as fast and easy as possible. You can speed things up by adding a ‘Buy Now’ CTA button to your product listings pages, which skips all the in-between stuff and takes users right to the final page of the purchasing process. You can also offer a guest checkout option that doesn’t require first-time users to register for an account prior to making a purchase. Chances are, if those first-timers are happy with their purchase, they will be more wiling the second time around on your PWA to register for a new account. 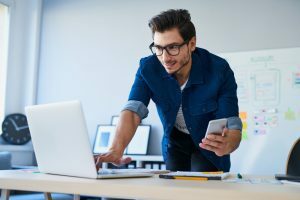 One thing you’ve probably noticed is that the tips that can help you create fantastic PWAs are pretty much the same as the tips to create an outstanding website that not only attracts visitors, but converts them into long-term customers. In the future, more businesses may move away from native apps if PWAs continue to show some of the conversion successes such as Lancôme seeing a 17 percent increase in conversions after introducing its PWA, and Forbes doubling its average user session length after introducing its PWA. The value of PWAs is that they act as a bridge that links mobile apps and a company’s website, and they offer customers the best of both worlds by being as convenient as native apps, while eliminating the hassles of download time, push notification acceptance, and lack of access when Internet connection is not available. More importantly for you, however, is that PWAs are positively affecting key analytics such as pages visited per session, bounce rates, average session length, impressions per visit, page loading time, and conversions. Another bit of good news is that Apple has recently begun working on its own PWAs, because right now, Apple does not support PWAs, which is why there are no progressive web app ios or progressive web apps Safari. Meanwhile, the fact that search engines like Google index PWAs the same way they would a standard website, also means that you can optimize your PWAs with SEO-friendly content that can help drive more traffic to your website. The online shopping trends 2017 have shown us that businesses that offer seamless, outstanding mobile purchase capabilities can grab their fair share of the mobile user revenue pie. If you want to learn more about creating PWAs for your business, please contact us to schedule a consultation.